Will you be watching Neill Anthony – The Private Chef? There’s a new show coming to town – Neill Anthony – The Private Chef. Last year I worked as a scriptwriter on another locally produced cooking/travel show and spent all my nights in bed watching this Aussie dude have deep, meaningful convos with farmers, zip line through forests, babble on about sustainable fishing and occasionally whip up the odd sandwich. After that, I didn’t think I’d ever want to watch another foodie show again (not that my show was horrible, just that I’d watched each episode at least six hundred million times) and felt a deep sense of tiredness when I was sent a press release regarding another one. But then the charming li’l press pack arrived and it was so carefully put together that it totally melted my overcooked little heart. 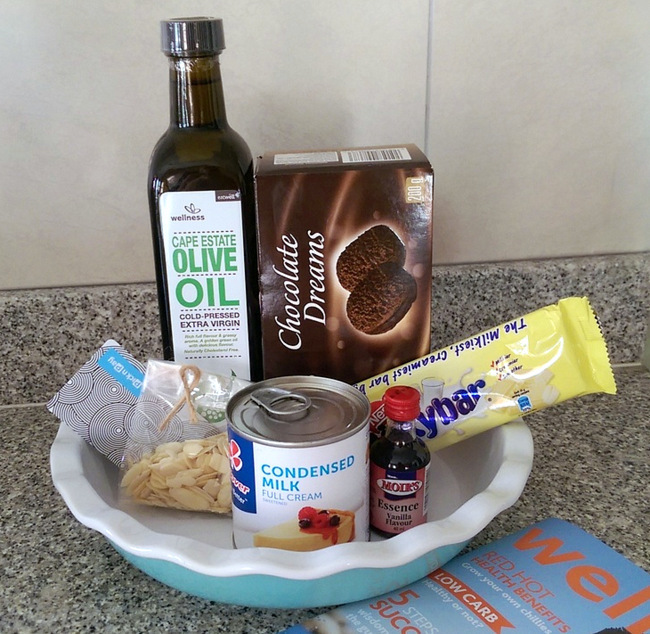 All the dry ingredients to create a decadent-looking cheese cake and a PnP voucher for the perishable ones. They even included the dish! Nice one, Jam Media! Obviously I had every intention of creating this decadent dessert but life took an ugly turn and my internet connection died (right before all my deadlines), resulting in a stressful meltdown of epic proportions. Obviously this meant eating the entire slab of Milky Bar right away. 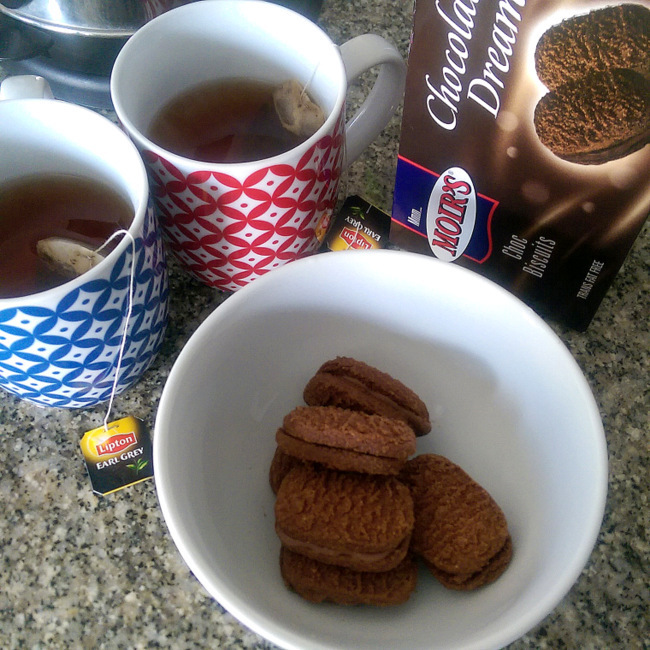 Then, when my IT hero friend Darryn came round I couldn’t leave him high and dry while slaving over my router so naturally the chocolate biscuits had to come out. Never mind, I told myself. I’d just buy more when I hit up the Pick n Pay with my voucher. But then my middle class, small town background kicked in and I blew it all on booze. Oops! Them PE roots die hard, I tell ya! I love this shot as it’s so fabulously awkward. 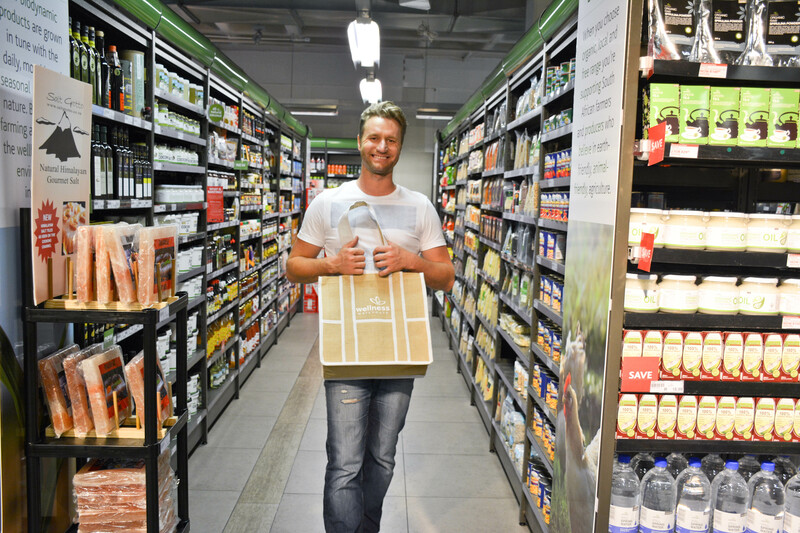 A talented young chef who’s cut his teeth in the kitchen of Gordon Ramsay, Niell’s cooked for the likes of Elton John and Victoria Beckham while working abroad and now he’s back on South African soil to whip up meals for our local elite (i.e. 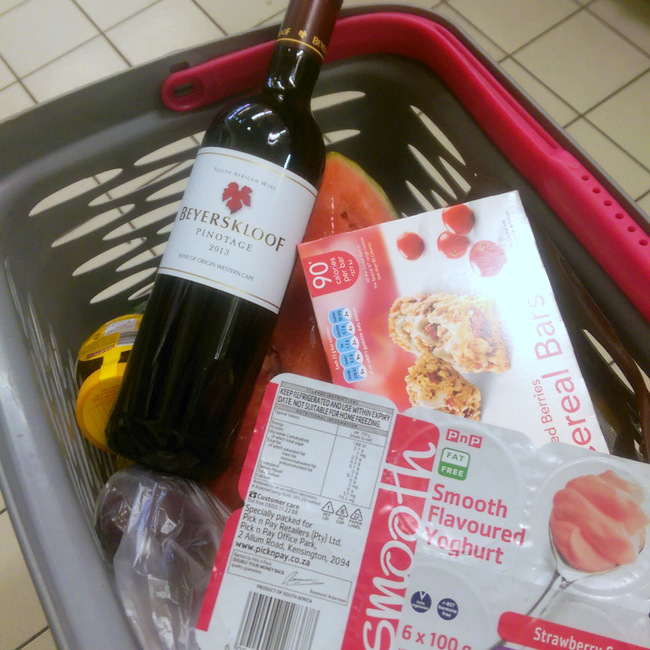 super sterre and very rich mense). 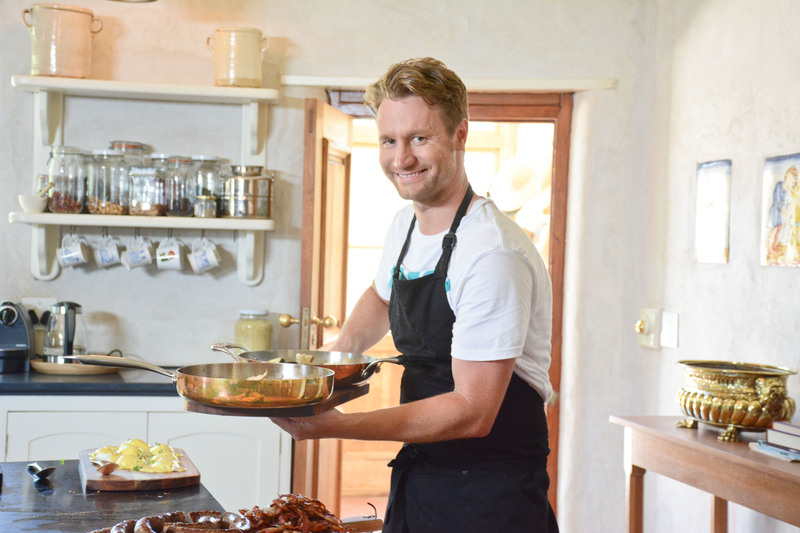 This is essentially the focus of his show – what it’s really like to be a hardworking private chef – and the first episode, which I got to preview, sees Neill creating a decadent three-course dinner party for former bok captain Francois Pienaar in his ultra mooi Camps Bay villa. While Neill does not have a sparkling ‘made for TV’ personality I’m not going to write him off just yet. He may need a little time to warm up to the camera. Also, there’s something kind of soothing about Neill’s monotone voice and, luckily, his food is interesting enough to hold your attention on its own. Another plus, if you’re more into cooking shows for – you know – the actual cooking, is that Neill’s creative and interesting food is the focus. Also, the way Neill carefully demonstrates things makes you feel that making a crispy pork belly might not actually be too much a stretch from the chicken ‘toaster waffles’ you’ve already eaten twice this week. Keen to catch the first episode? It airs weekly on SABC 3 on Sunday from 15 March at 4:30pm with a repeat on Fridays at 3pm. Epi one sees Neill making several dishes including a surprisingly yummy-looking mushroom, lentil and goats cheese salad and a hot chocolate soup! ‘I love this shot as it’s so fabulously awkward’ – LOLing so hard! Love! love! your ramblings fellow PE girl! Jislaaik, you make me laugh! You so funny….